Every so often, a vehicle comes along that proves to us that everything in the world is not so bad. 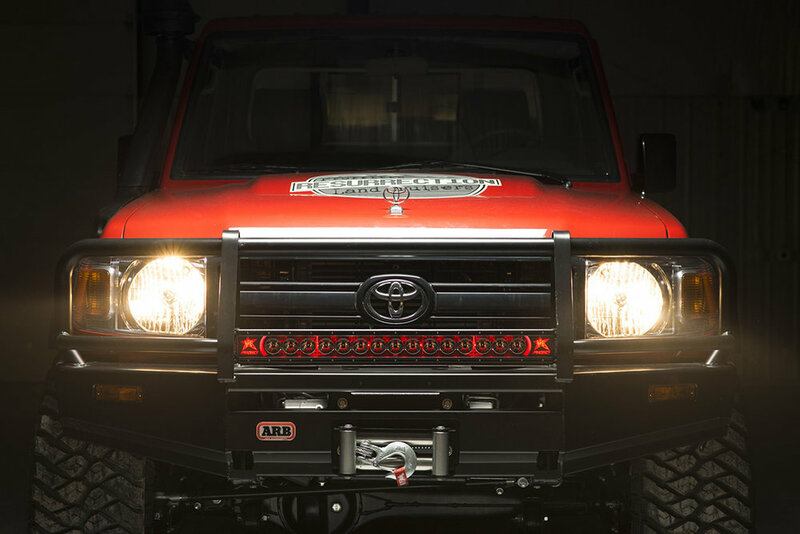 Today, that vehicle is this custom Toyota Land Cruiser ute from the geniuses at Proffitt’s Resurrection Land Cruisers. There are a lot of things going on with this incredible SEMA build, so pay attention – it might get confusing. For starters, this wicked 4×4 is actually the body of a '79 Series Land Cruiser Ute on a 1993 FZJ80 chassis. As if that’s not weird enough, under the hood there’s a Cummins R2.8 4-cylinder turbo diesel engine capable of 161 horsepower. But it doesn’t stop there – it’s also got a part-time 4WD transfer case, electronic locking differentials, Bilstein shocks, Rigid lighting, a WARN winch, and a whopping 200-litre fuel capacity perfect for the long haul out to the wilderness and back – where this thing would be right at home. Worst part is, it’s only street legal in most of the USA.